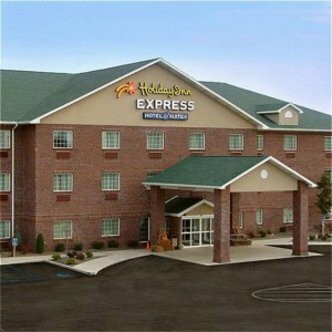 The Holiday Inn Express Hotel & Suites Center Township is located 14 miles from Pittsburgh Int'l Airport. Less than 35 miles from downtown Pittsburgh. Beaver Mall across highway for convenient shopping and entertainment, movie theater within 1 mile. The hotel offers an indoor swimming pool, fitness center and business center. Free breakfast served in the morning in a large breakfast area with large screen TV and comfortable seating. Visit Monaca, PA and stay smart at the Holiday Inn Express Hotel. This hotel is committed to providing accessible facilities under the American Disabilities Act. If your accessibility needs are not met, please contact the Hotel Manager on Duty. Should you require additional information regarding accessible facilities for guests with disabilities, please call 1-800-Holiday (U.S. and Canada) or contact the hotel directly. For the hearing impaired, TDD service is available at 1-800-238-5544 within the U.S. and Canada.